I have deep, creative and valuable knowledge in Mechanical Engineering design softwares and I have also gained valuable Industrial experiences from various Mechanical industrial Giants. I have 3 years experience as a programmer analyst in a leading multi national IT corporation. During my service, I have gained valuable experiences in different type of programming languages and IT work flow. I have created many innovative solutions and tools to automate manual efforts and have won best Employee awards and client appreciations for my innovations and successful project completions. I have experience working for different range of people from IT giants of United States (From Corporate) to normal people from different corners of the world (From Freelancing). 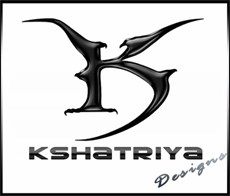 Designing something better and hence earning the customers delight is our honest goal.If the works of K seems appreciative, kindly post your projects at kshatriyadesigns.com/Postwork. The success of an artist lies in his customer satisfaction rather than his own. Here are the creative skills that you were looking for so long and let us join hands to create a new world of Art. Copyright © 2018 Kshatriya Designs. All rights reserved. Powered by Blogger.